Chester River Landscaping offers an extensive scope of services: site design, plant sourcing, installation and maintenance including irrigation and lawncare. The company designs and installs lighting, fencing and gating. 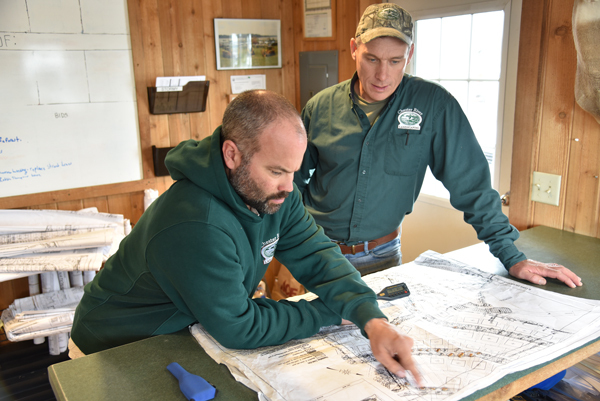 President/Owner Stormy Gibbons-Neff (right) discussing site design with Mark Patrick Project Manager (left). 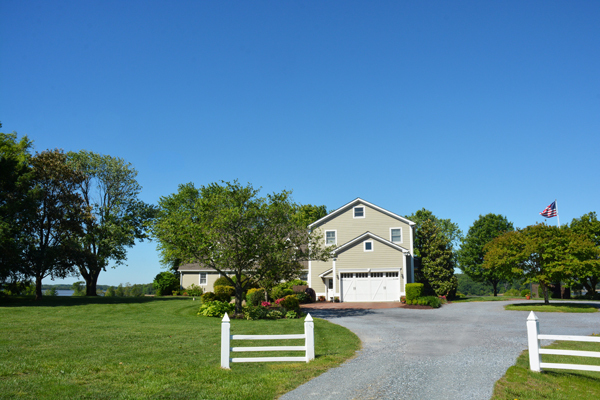 Chester River Landscaping offers specialized landscaping expertise such as gating and on-going maintenance for properties. 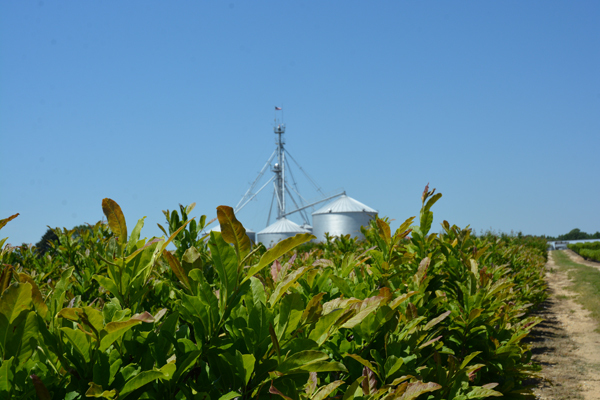 Chester River Landscaping sources from an extensive inventory of trees and containerized plants at Clovelly Nurseries. 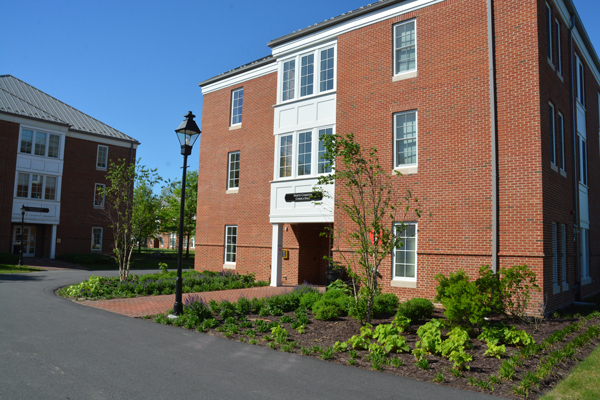 (Above) Washington College Dorms project showing hardscaping and lighting design coordinated with landscaping.